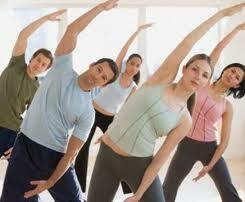 Feeling discomfort or muscle and joint pain? Take the quick Screening App below or the Mobile “Your Physical Health” from the Apple Store for an initial assessment. Take the Comprehensive Assessment for a complete muscle and joint evaluation. Our free assessment gathers some basic information about you and up to two areas of your body where you are experiencing pain or discomfort. We then provide you with a brief report and information to help you reduce those areas of concern impacting your Health. 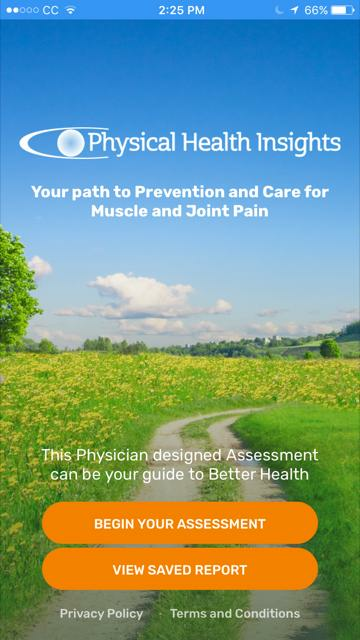 Select our comprehensive assessment to detect and identify the risk for current or future issues for all areas of the body. You will receive your on-line report with tailored guidelines for self-care, nutrition, and exercise based on your results. Physicalhealthinsights.com does not provide medical advice, diagnosis or treatment.